ACDE members meet twice per year, once during the annual conference of the Canadian Society for the Study of Education and once in the fall.  The Association of Canadian Deans of Education (ACDE), originally known as the Canadian Association of Deans of Education (CADE), was created in 1969.  In 1972, CADE, along with several other associations, amalgamated as constituent associations within the newly formed Canadian Society for the Study of Education (CSSE). CADE was comprised of deans, directors, and chairs of education from faculties, colleges, schools, and departments of education across Canada. During the 1980s, CADE played an important role in the establishment of CSSE, and was one of the financial backers of the CSSE Secretariat. The deans’ financial support was also instrumental in launching and supporting the Canadian Journal of Education. The Association francophone des doyennes et des doyens, des directrices et directeurs d’éducation du Canada (AFDÉC) applied for and was approved for CSSE membership in 1990. CADE and AFDÉC operated as parallel associations within CSSE until 2006, when the two associations merged. At that time, a new association name was chosen: Association of Canadian Deans of Education/Association canadienne des doyens et doyennes d’éducation. Throughout the 1980s and 1990s, CADE’s primary purpose was to bring deans together to discuss issues of common interest. Initiatives intended to engage CADE members in coordinated approach to educational issues met with limited success. At that time, CADE had no constitution or mission statement. During the period 2002–04, several incoming CADE members saw the potential to develop the association into an organization with national influence in the sphere of education. Early activities included the development of a constitution, which was ratified in 2004. The process of building consensus among member institutions took several years, culminating in the release of the General Accord in 2006.  The General Accord, which was unanimously ratified, signaled a new era of collaboration and cooperation among the deans, representing agreement among the signatories to work together toward the goal of continuing to provide a meaningful, influential, and positive voice for education in Canada. Today, ACDE is committed to national leadership in professional and teacher education, educational research, and policy in universities and university-colleges. Five more accords followed the General Accord, including the Accord on Initial Teacher Education (released in 2006), the Accord on Indigenous Education (released in 2010), the Accord on Research in Education (released in 2011)), the Accord on Early Learning and Early Childhood Education (released in 2013), and the Accord on the Internationalization of Education (released in 2014). The accords allow ACDE to contribute to national discourse on the importance of public education in developing and sustaining a civil society. ACDE members use the documents primarily at three levels: a) within their own faculties b) with other deans and senior administrators at their respective universities, and c) with external partner organizations such as government and teachers’ federations. The accords are used as foundational documents in framing discussions in order to influence policy within these three levels. ACDE’s constitution was drafted by ACDE member Michael Manley-Casimir, Dean of Education at Brock University. The constitution was ratified in October, 2004. Amendments and their respective dates are noted in the constitution. 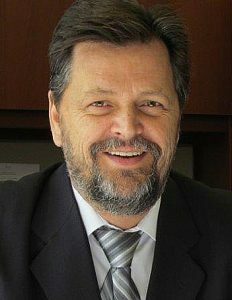 Dr. Kirk Anderson is in his second term as the dean of the Faculty of Education at Memorial University of Newfoundland. He holds a PhD in educational administration and leadership from the Ontario Institute for Studies in Education at the University of Toronto (2002). Born in Western Newfoundland he comes from a family with Mi’kmaq and Inuit ancestry. He has been a teacher and principal, was active in serving the school district, and belonged to the Newfoundland and Labrador Teachers’ Association. Following his teaching career (1981-2004), he was an education professor at the University of Saskatchewan (2002-2003), University of Calgary (2004-2007), and University of New Brunswick (2007-2011), where he was associate dean of education before joining Memorial University in 2011. In 2007, he received the teaching excellence award from the University of Calgary Graduate Students’ Association. His primary university research areas are school leadership and school effectiveness. He has also conducted significant research in success in Aboriginal schools and has worked on various international projects. He currently serves on a number of national and international research groups. More recently (2013), he was appointed as a member of the University of the Arctic Indigenous Issues Committee. Kirk is (2017-2019) President of the Association of Canadian Deans of Education (ACDE) and is also Vice-President (Anglophone 2016-2020) of the Canadian Society for Studies in Education (CSSE). Dr. Cathy Bruce is a Professor and Dean of the School of Education and Professional Learning and Director of the Centre for Teaching and Learning at Trent University, Canada. In 2013 she was awarded the prestigious Ontario Colleges and University Faculty Association Teaching Award for teaching excellence. In 2015 she was awarded the Eduardo Flores International Leadership Award for her leadership in action research. She has an active SSHRC funded research program through which she and her research team investigate teacher and student efficacy, the effectiveness of alternative models of professional learning for teachers, the use of technology in the mathematics classroom, as well as teaching and learning in the difficult-to-learn areas of fractions and algebra. 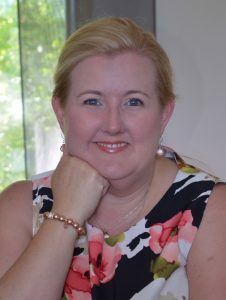 An exciting area of her research relates to mathematics for young children, involving teachers and other researchers as well as young students from JK-Grade 2, to investigate what children are capable of spatially and mathematically, given rich tasks and adequate support in an atmosphere of playful learning. Her research involves collaborating with educators in classrooms to bridge research-practice gaps in education. Dr. Michael Owen is Professor and Dean or the Faculty of Education at Brock University. Prior to rejoining Brock in August 2017, Owen was Professor and Associate Provost Research (2010-2012) and Vice-President Research, International and Innovation (2012-2017) and Interim Dean/Dean of the Faculty of Education (2017-2017) at the University of Ontario Institute of Technology (2010-2017), Vice-President Research and Graduate Studies at the Ontario College of Art & Design (2007-2010), Professor and Associate Vice-President Research and International at Brock University (2004-2007), Director of Research Services, Brock University (2000-2004), Director of Research Services, Ryerson University (1997-2000), Director of Research Services, University of Saskatchewan (1991-1997), and Assistant to the Vice-President Academic, Athabasca University (1985-1991). Michael Owen’s research represent his interest in the development of education in Canada, leadership and management of post-secondary education, and the governance of research ethics in Canada and internationally. Owen has published on the history of schooling and education in Canada, with a particular interest on the development of larger school units, Canadianization and immigrant children in the 1930s-1950s, the place of the church in moral and social reform in the late nineteenth and early twentieth century, distance education, and human research ethics. Owen has served as a member and leader of scholarly and professional organizations, including Ontario Council on University Research (OCUR), Clinical Trials Ontario (CTO), Canadian Federation of Humanities and Social Sciences (CFHSS), Canadian Association of Foundations of Education (President), Canadian Society of Church History (President), Canadian Society for Studies in Education (Board Member), Canadian Association of University Research Administrators (Board Member), Society of Research Administrators International (Board Member and President), Canadian Society for Studies in Religion (Board Member), and the National Council on Ethics in Human Research (Board Member). Dr. Airini is the Dean, Faculty of Education and Social Work, Thompson Rivers University, BC, Canada. Concurrently, Airini is Adjunct Professor, Victoria University (Melbourne, Australia), a honorary appointment for distinction in advancing research in education, diversity and lifelong learning, and Adjunct Professor AUT University (Auckland, New Zealand). As a Fulbright Scholar at Howard University, Washington DC, Airini researched how to convert higher education policy into better results for under-served students. Airini’s current research focuses on designing 21st century systems to close gaps in education success and lift social outcomes. 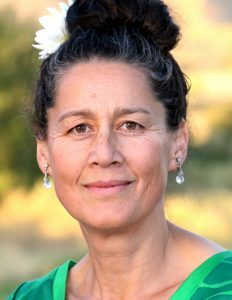 Airini has led strategy and policy development in OECD and developing nations, including the Cook Islands’ 15-year education strategy (ECE to tertiary) (budget value NZ$112 million) and the Tongan teacher education review (budget value $9 million). Airini worked for the United Nations Education and Scientific Co-operation Organisation Paris office, as project leader for international education resource development. In 2011 Airini was invited to provide future global directions for UNESCO action in Higher Education. She was an invited editor for the UNESCO-affiliate APCEIU (Asia-Pacific Centre of Education for International Understanding) based in Korea and published on international civics education. She held a Ministerial appointment to the UNESCO NZ Education Sub-Commission, and was instrumental in advancing the UNESCO Associated Schools Project Network (NZ). She has published on public policy development and reform for national and international contexts. Originally from the prairies, I have served as the Dean of the Faculty of Education at Laurentian University since 2016. Some of my previous professional roles include French immersion teacher, Evaluation Coordinator for the Official Minority Language Office branch of the Saskatchewan Ministry of Education, and Director of the Programme du Baccalauréat en éducation française at the University of Regina. Among my multiple, shifting identities, I am a mother, gardener and sometimes poet. Dr. Rebecca Luce-Kapler is Dean of Education, Queen’s University. She is leading the Faculty’s strong social justice vision, from supporting the poorest neighbourhoods in Kingston to partnering with 1Million Teachers to bring professional development opportunities via smartphone technology to African teachers. Partnering with the National Centre for Truth and Reconciliation on Imagine a Canada is a highlight for the Faculty year. 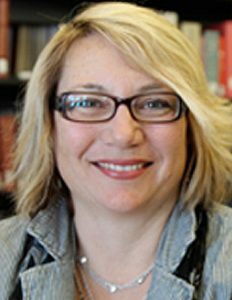 Dr. Luce-Kapler’s research interests focus on the integral role of literary practices, particularly writing, in the development of human consciousness and identity. This work has contributed to understanding the normative power of cultural forms and the importance of interpretive reading and writing practices for generative learning and teaching. Dr. Jennifer Tupper received her B.Ed. from the University of Alberta in 1994, her M.Ed. from the University of British Columbia in 1998 and her PhD from the University of Alberta in 2004. She has been a high school teacher, curriculum consultant, teacher educator, associate dean and dean. 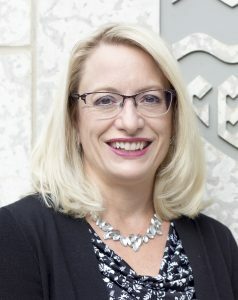 In 2017, she joined the University of Alberta as Dean of Education after spending 13 years at the University of Regina. Her research in citizenship education, treaty education, and anti-colonial education has been funded by the Social Sciences and Humanities Research Council of Canada and the Stirling McDowell Foundation. 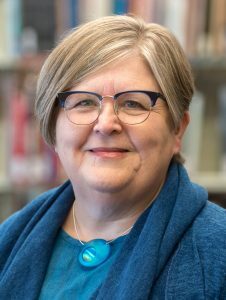 Her current interests include Faculties of Education responses to the TRC Calls to Action, and how schools can become sites for truth and reconciliation. Jennifer has two daughters, Alise (9 years old) and Ayla (15 years old) both of whom have strong social justice orientations. Katy Ellsworth, ACDE’s Executive Director, holds a Master of Arts degree in history from Queen’s University. She began her work in educational publishing with the Third International Mathematics and Science Study at the University of British Columbia. 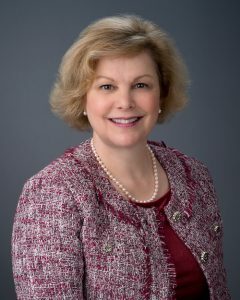 She is co-author along with ACDE members Kris Magnusson and Blye Frank of “The ACDE Accords: A Case Study in Democratic Leadership” (in Shultz & Viczko, Eds., Assembling and Governing the Higher Education Institution, 2016). Katy works with the ACDE Executive to plan strategic directions for ACDE, organize the annual meeting, and plan ACDE’s program for the annual conference of the Canadian Society for the Study of Education (CSSE).